What a hectic couple of weeks we have had! The Wee Page Turner now has the all clear from the hospital which is quite the relief and life has returned to it's newly chaotic form of normal. We celebrated a beautiful family wedding last weekend and the bairns charmed in their flower girl dress and little kilt. It truly was a magical day and I feel closer to my in-laws than ever. We have also been reorganising the children's' bedroom and got a new sofa for bedtime stories and I have been sorting all the books! Daddy BookBairn build a brilliant bookshelf for our new book-neuk and I have been happily colour co-ordinating the shelves. I plan to write a blog post and share some pictures of our new book neuk and story couch but in the meantime you can see them on our social media (links at the top of the page). I also now have a big bag of books to get rid of - we cannot feasibly keep them all, our house would overflow! In the past we have created a treasure hunt for local bookbairns, done a virtual book swap and had a real life meet-up to swap books and this time around we have even more to share and swap. Any ideas for how to pass them on would be great! My choice of book is one for BookBairn and BookBump to share, Laurence and Catherine Anholt's delightful Babies Love Books. I owned this before my husband and I had even decided to have children (one of the things we bonded over when we met was that we liked to buy ourselves beautiful children's picture books). Our now five year old son did not like books for the first few months of his life. 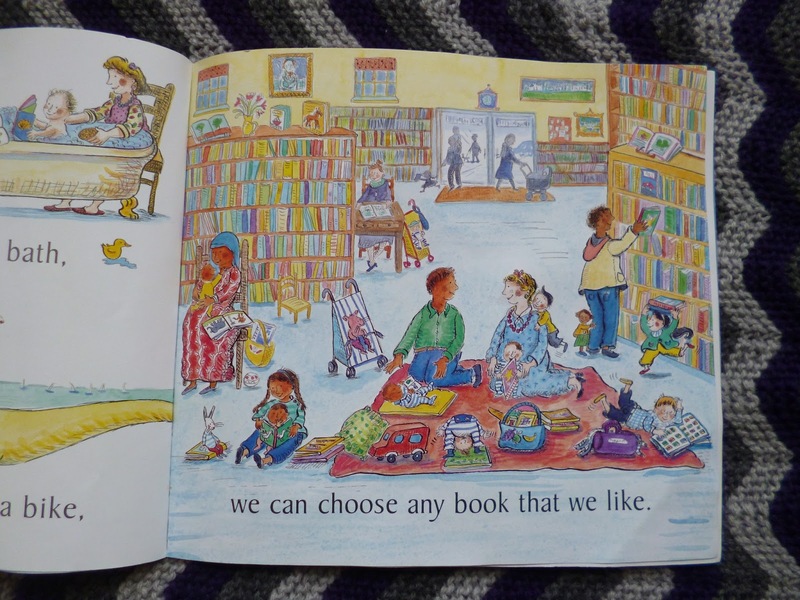 As a bookworm and former librarian I had lots of firm ideas about reading bedtime stories from the word go and whiling away the day sharing gorgeous picture books. But he got upset when we tried to read to him, it seemed like he didn't like having a book in front of him blocking his view and he preferred being carried around the house than sitting down. The turning point was a Belgian friend sending us a cloth book, and then books became a tactile object he could handle and have control of (either that or he only understood French, as the only other book success we'd had in those first months was a French version of a Moomin book she had also sent us). Once he realised that books were fun (hooray!) there was no stopping him, and Babies Love Books quickly became a favourite. Babies Love Books is simply a celebration of reading with babies and toddlers, taking you through all the different places you can share a book starting with 'Hey! There's a book on our bed!'. It's fun to spot where you like to share a book with your little ones, and there is plenty to talk about in the illustrations. It's an inclusive book, with lots of different babies and toddlers and families depicted. I particularly like the the mum who looks like she's just been decorating reading to her child in a supermarket trolley, and the mum reading to a baby on her knee as she tries to grab something to eat in a cafe (done that so many times myself!). There are plenty of vehicles, animals, parks and potties to satisfy the interests of most little ones. We always liked the library page (and the silvery sands page, because we used to live near the Silver Sands!) as going to rhymetime sessions at the library was always my little boy's favourite activity when he was a baby. We are lucky in Scotland that library services offer these for free through the Scottish Book Trust's Bookbug programme, indeed we have often met BookBairn and her mummy at our local ones! 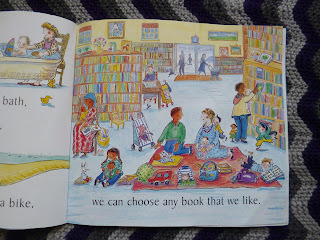 Catherine Anholt's illustrations remind me a little of Janet Ahlberg's style. The Baby's Catalogue by the Ahlbergs has always been my go-to new baby gift (babies love looking at pictures of babies) but our son never really got into it. He did, however, adore Peepo! and Each Peach Pear Plum, possibly because they are written in rhyme and he loved rhyming books. Doesn't that look like a brilliant book for little ones?! We will definitely be looking for that library copy! And I'm delighted that Katherine shared the link to the Scottish Bookbug Programme - we are so lucky in Scotland to have such a great scheme for getting books to all our little ones. The Wee Page Turner is yet to receive his first Bookbug bag but he should get it soon and it has reminded me that I'll need to ask our Health Visitor when she pops in this week. 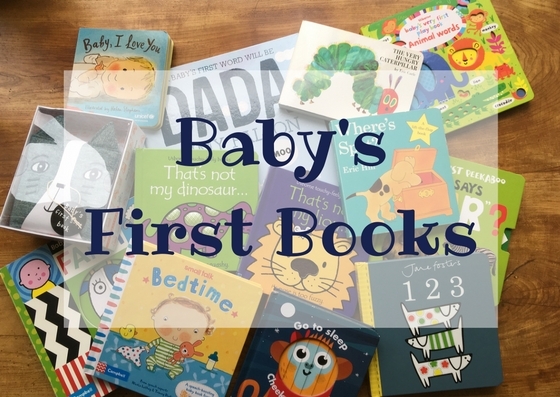 I promise to share the contents when we get it, I'm desperate to see what new books are in the new baby book since BookBairn got hers two years ago. Katherine is a very occasional blogger at from the big chair, but is more often found as @edenbooksknits on both Instagram and Twitter. A former librarian now working in social media, she lives with her husband, son and two cats. I look forward to seeing the new book neuk and reading stories on the new couch. Sounds great. So was Katherine's blog. 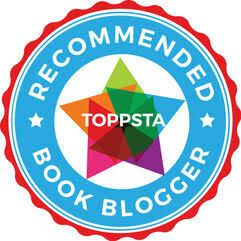 What a lovely blogpost! Mummy BookBairn's first love of books was her bathbook. It was read over and over. Papa BookBairn and I can still recite all the words of Myrtle Turtle. 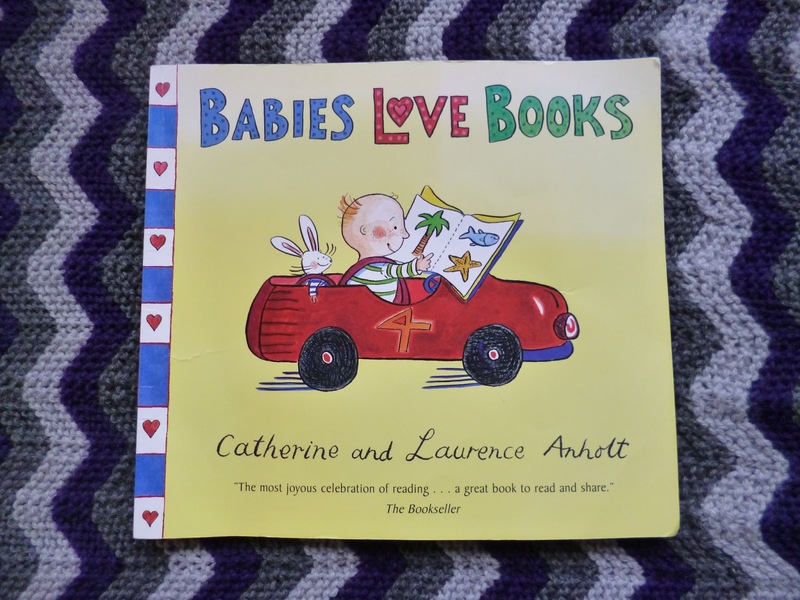 She had plenty of other lovely board books and picture books but that was definitely her first 'loved' book. I'm sure there are a few we will be able to recite! Me by Emma Dodd comes to mind as one I will be able to recite forever!